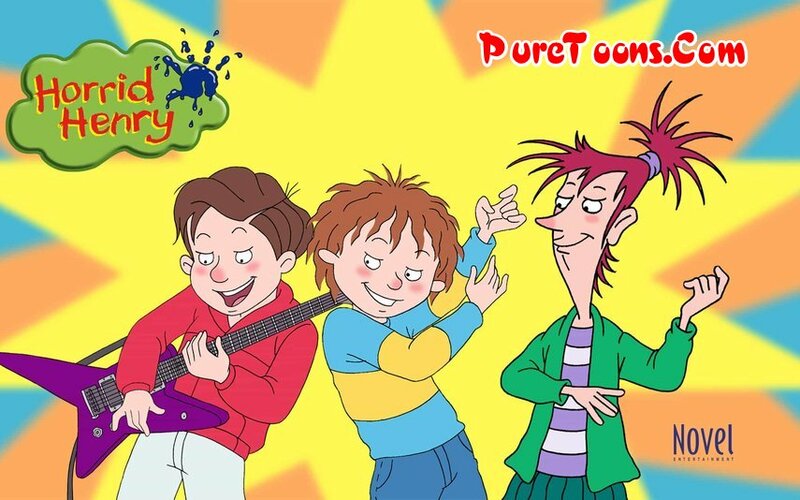 Summary: For Horrid Henry, life is just not fair! He feels that the rest of the world is against him and he wages a constant war against the tyranny of adults. Like any headstrong young boy, he is determined, relentless, he doesn"t hold back and he never admits defeat! He will stop at nothing to outwit the enemy and teachers, relatives and babysitters avoid him at all costs. Even his parents argue over whose turn it is to look after him! Henry is endearingly straight forward and lives for the moment, he"ll wolf down his little brother Peter"s chocolates before even thinking of an alibi! He doesn"t try to be truly horrid, it just comes naturally! He"s still young, however, and can be scared by talk of ghosts or monsters. The school doctor"s syringe reduces him to a quivering heap! Although Henry is certainly proud of himself, he never learns from his mistakes. Henry indulges in fantasies, transforms into terrifying creatures to match his frustrations and often has "Eureka moments" when he has what he thinks is a spectacularly wonderful idea. In every story, there is something Henry has to get or do (or occasionally avoid doing) and the ensuing chaos is the consequence of this overriding desire. When he thinks of a plan it is simple to get his own way, never to make trouble purely for its own sake. He takes life very seriously and he sincerely believes in what he is doing. No wonder his favorite saying is ... "it"s not fair!!!!" Do you know that where I can get this series?